Our returning champ was impressive on day one. Will he be one to watch? The scores have been kind to my brain this week. Matthew should wager 600 to cover Sam. 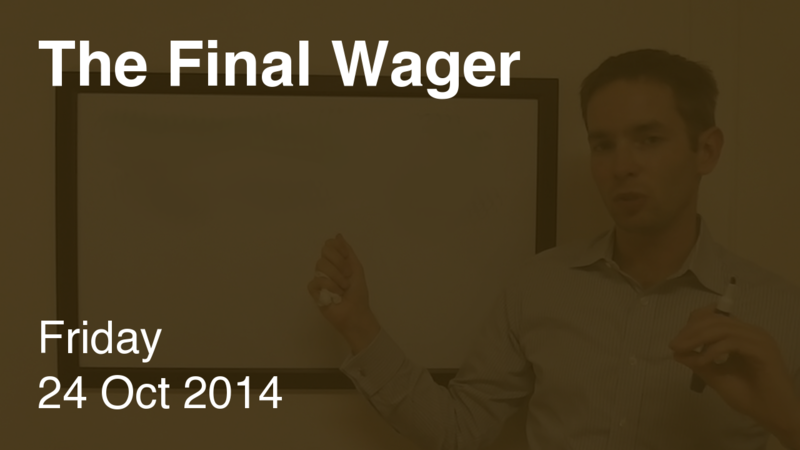 Sam needs to get it right, so he might as well wager everything – but at least 7,400. Amy is out of contention for the victory. Assuming Sam will wager at least 7,400, Amy can wager up to 4,399. If you need to be right to win, wager everything! We’ll see if Matthew plays for the tie again on Monday.